You better build a pretty tough ship, because you’re gonna need it. Your little brother turned into a bubblegum mutant and is being a total butthead. He froze the Sun, poked out Jupiter’s eye, drank Neptune’s oceans, and cracked Earth like an egg! Set off across a messed-up Solar System to put a stop to the big jerkface once and for all! Protect your Command Core with bulkheads, weapons, & boosters to customize your ship. Every piece you add affects movement, combat capabilities, and armor. Every enemy ship is randomly generated and presents a unique combat challenge. Go in guns blazing or pick them apart carefully so that the leftover Ship Bits can be grafted to your ship! Obliterate your enemies with ScatterBlasters and MegaBoom Rockets or shred them to pieces with the RipSaw. Make the fastest ship in the Solar System with Uniboosters and Twin Thrusters, protect it with Bubble Shields, Repair Bulkheads, and tons more! Experience all-new gameplay that wasn’t in the original cult-hit Captain Forever. Collect rare Power Bulkheads to access special abilities, unlock new starter kits, discover new Ship Bits, and avoid deadly traps laid by King Kevin! 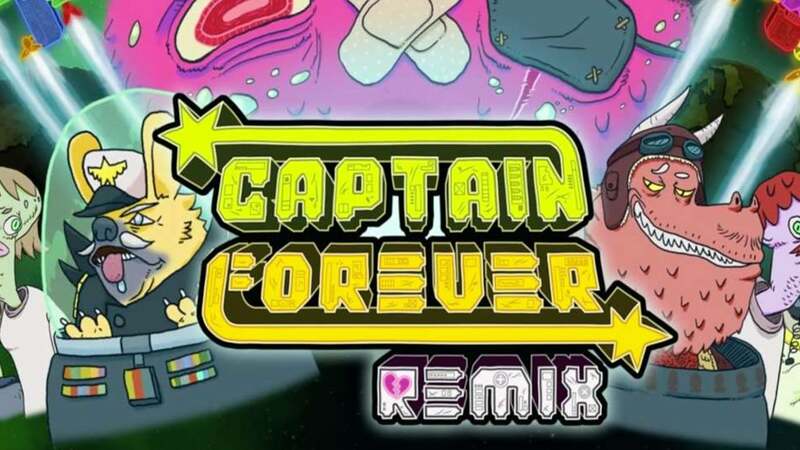 Remix features a completely new art style that draws inspiration from the 1990’s heyday of amazing & weird cartoons. Tour a Solar System in disarray as you set out to put a stop to the insane shenanigans of your mutant little brother & get payback!